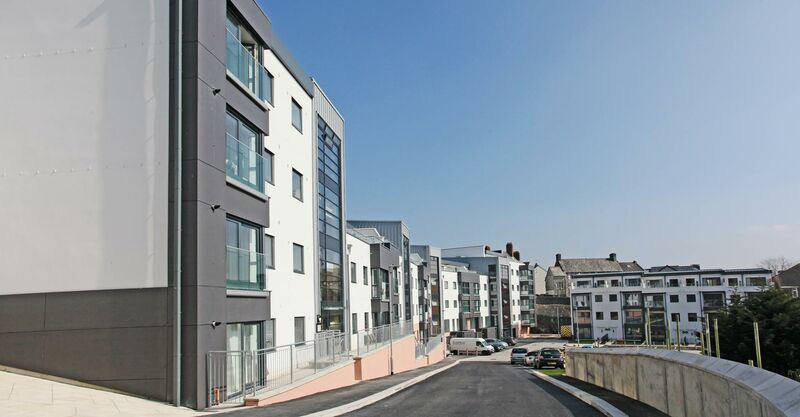 Stonehouse Arena comprises a mixture of flats, maisonettes and townhouses constructed on a former railway cutting on a derelict site in the centre of Plymouth. 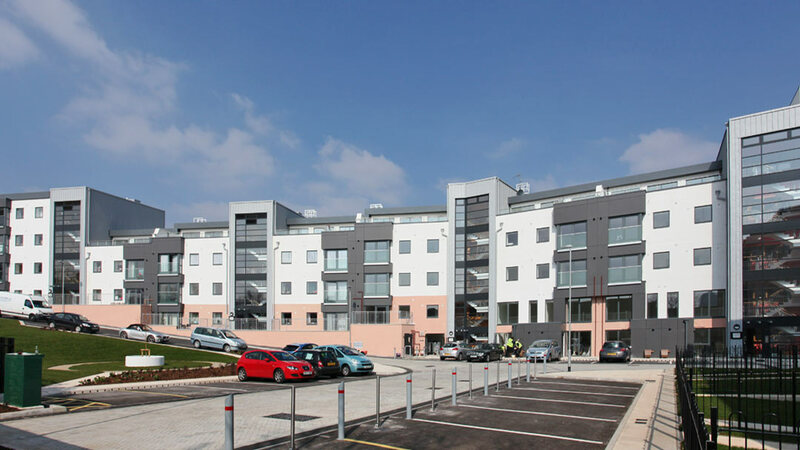 This scheme consists of 56 affordable dwellings (10 of which are shared ownership). 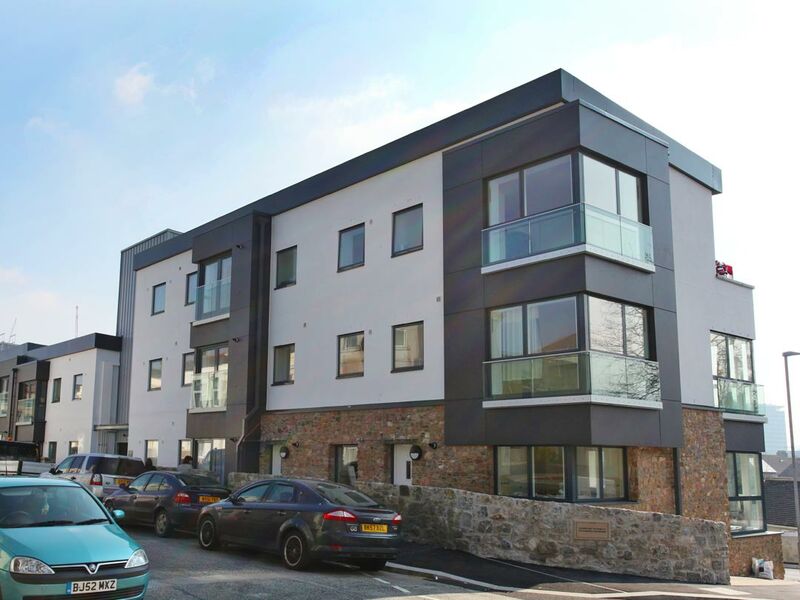 There are a mixture of town houses, maisonettes, and one, two & three bedroom flats, with associated car parking and communal external space. New vehicular access has been provided into the site from Wyndham Street East. 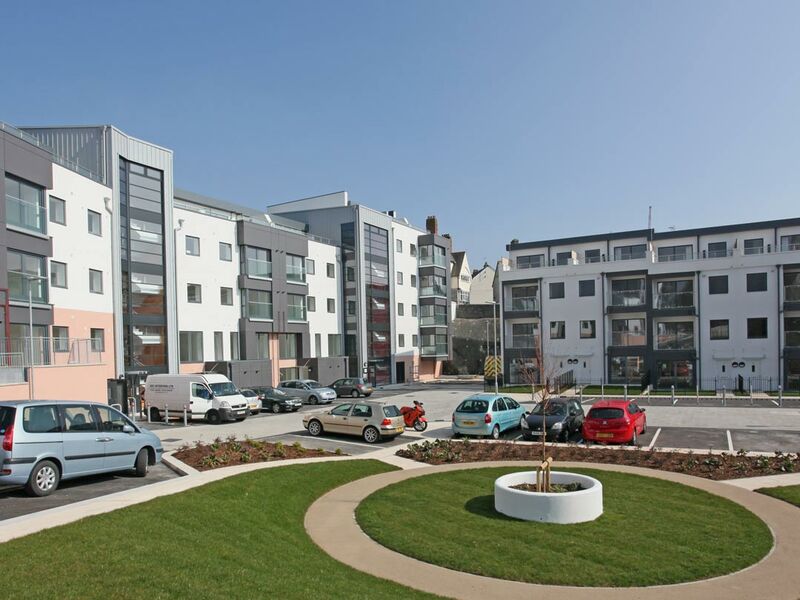 The new development makes a statement with contemporary design complementing the surrounding mix of housing styles. The scheme is two to three storeys as viewed from Wyndham Street East, and is six storeys on the southerly aspect due to the change in topography. The repetitive pattern of square windows and protruding bays and monochrome colour scheme is intended as a deliberate contrast to the historic context while providing a terrace rhythm. The scheme is designed to meet Code 3 of the Code for Sustainable Homes, and is 100% Lifetime Homes compliant. 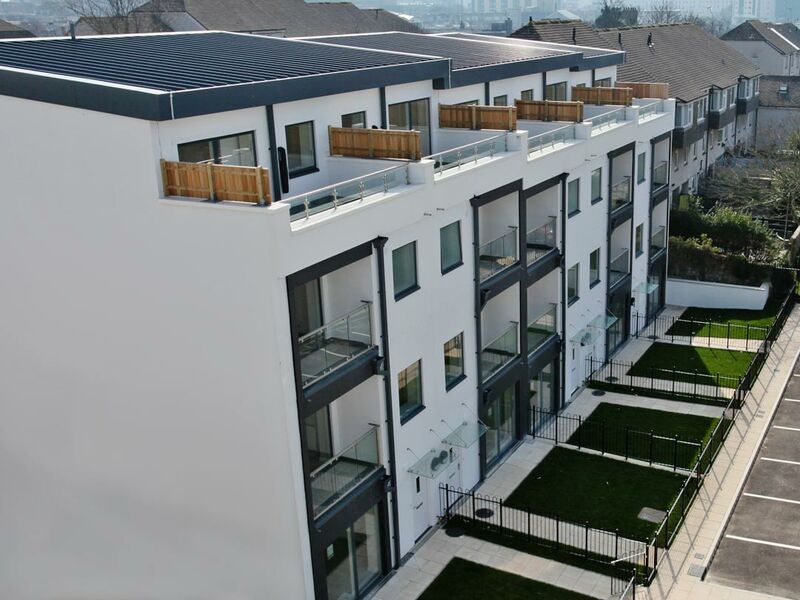 Photovoltaic panels have been installed on the roof to meet Core Strategy Policy CS20. The building fabric has been carefully designed to reduce heat loss and limit CO2 emissions.